There is an ever-growing trend for classic masculine behaviour to disappear. – “Ever-growing?” Not so fast, say 5 Manly Things that are coming up strong in 2016. Let’s hear it from someone who is an authority in the field of manliness. Someone who smokes cigars instead of cigarettes. Someone who is in the know. When speaking of manly things and their supposed demise I couldn’t think of anyone more apt to give us his 2 cents than the Faceman himself. 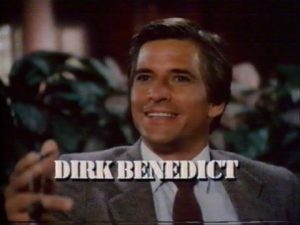 Dirk Benedict came to international fame for portraying Templeton ‘The Face’ Peck on The A-Team, one of the most renowned action TV series that, in terms of testosterone, made MacGyver look like a wallflower. The A-Team was the last truly masculine show. What might just look like a grown-old actor reminiscing about his biggest commercial success – Mr Benedict turned 70 this year – turns out to be a blunt expression of truth. The A-Team really was a masculine show and most likely the last one of its kind. Turn on the TV these days and you will be showered in androgyny while any male-centered appearance outside of a James Bond movie will face critique. And even with James Bond there are voices saying that the famous character in his latest movie is doing nothing less but trying to battle midlife crisis. Take from that what you will, there is one fact that remains. Manly things, manly traits and manly behaviour in general are at an all-time low with television being but the pars pro toto of an overall low presence of masculinity. Just as much as you will face bad luck if you tried to watch a rerun of The A-Team in 2015 there is an abundance of other manly things that were prominent 10 to years ago, but that have almost vanished entirely today. By bringing back in 5 classic manly things we are throwing a spanner in the works. It is time to remember 5 things that are evergreens for any manly man and that are more and more beginning to see a full-grown revival. Resurrected from their almost-decease here are 5 manly things to do that today are only almost forgotten. What do Charles Darwin, Abraham Lincoln and Friedrich Nietzsche all have in common? They were all wearing their individual style of their very own beard. In fact, the great tradition of men to grow and wear their facial hair has turned from being a display of masculinity, power and status into something you scratch off of your skin early in the morning for another clean-shaven day at just another faceless office. In order to have no man pose a threat to the huge social machinery called industrialization, capitalism or what may have you is it any wonder that the one undismissable indicator of man’s animalistic side was the first thing to be struck off the list? All in all, it is no coincidence that the great men pictured here have been living not today, but in the late 19th century: back then the emerging bourgeois society had just established itself as something progressive – and not as something emasculating. Be that is it may, growing your beard out is on the rise again like never before. These days the whole of Europe and North America is seeing an increase in men wearing a full-grown beard that has no comparison. 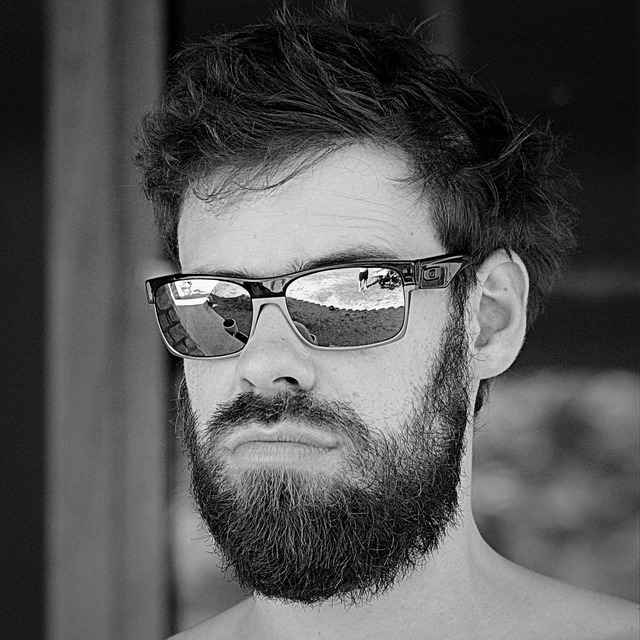 Yes, there might just be a plain sociological explanation to the expanding beard phenomenon. But even if it was true that men choose to wear a beard solely to be one step ahead of their male competition in the mating and dating game then there is no denying they are doing so not by becoming more feminine (think friendzone), but through the most manly thing that nature has given them: their beard. Bravo! It’s a big surprise that the up-and-coming revival of the barbershop stands in no correlation to the expanding beard phenomenon. Undeniably, barbershops have been silently around in all of Europe, and at all times on top of that. When I’m writing ‘silently’ then I’m alluding to the fact that from about the early 1970s up until now barbershops were seen as outdated by most European men and only managed to surive in perhaps the black community of North America or countries with a majority muslim population. These days, however, things look different. Europe and even more so the US are seeing new and well-frequented barbershops opening up every other day. What once had been the social version of what now is called a “man cave” seems to be back in full bloom. 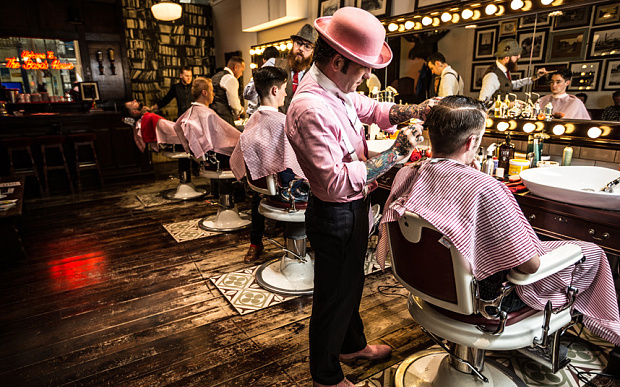 Not only Copenhagen, but basically every major European city today has a thriving subculture of barbershops where men can congregate in the unique social climate that is created by a male-only environment. 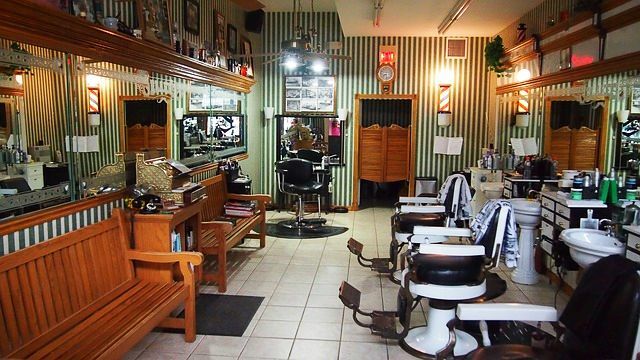 Men’s barbershops belong to men. A male-only environment? — Not so fast. While most barbershops happen to come with a predominantly male staff as well as predominantly male customers only a minority of them are actual male-only venues. Baba said in an interview with The Telegraph. And he does have a point. It can be speculated that an all-girls club would raise much less eyebrows than even the smallest and unimposing venue that is operating on a male-only door policy. 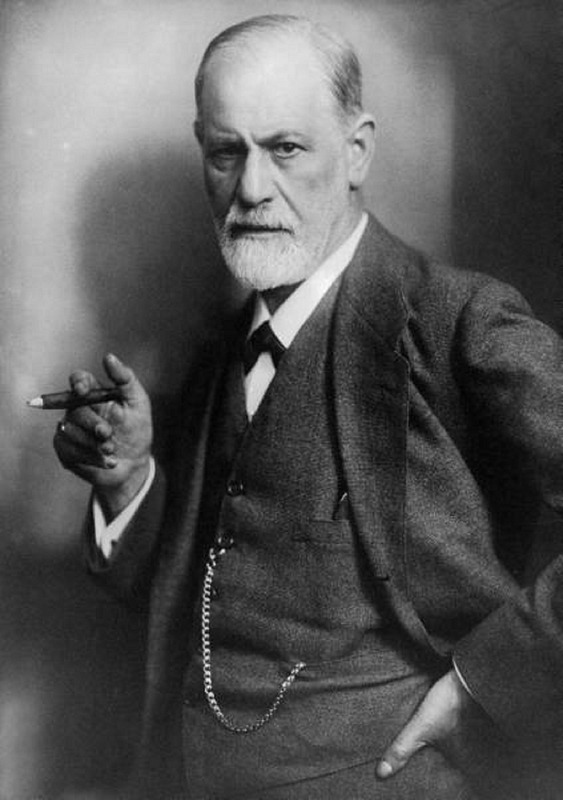 Not only does Sigmund Freud fit in seamlessly into the historical caste of men embracing the wearing of beards, the Austrian-born inventor of modern psychoanalysis also was an avid cigar smoker. While (cigarette) smoking has seen a global decrease of 25% among men since the 1980s according to a study published in the Journal of the American Medial Association, it is the once popular habit of smoking cigars that among men has vanished almost completely. The stress is, in any case, on the word almost. Cigar smoking may have been on a constant decline — but that only until the 1990s. In 1993 the consumption of cigars in the United States as well as in European countries such as Germany has seen an increase of 50% (USA) as well as another increase of 50% in the years of 2002 to 2014 (Germany). The current warmth in the Cuban-US relations also allows Americans to freely travel to Cuba. This one country in the Caribbean which – in full accordance to the stereotype – has always been on the forefront of producing the best in cigars the New World had to offer and is now able to conquer the world’s largest market for cigars. If that will not further the spreading of the manly habit that is cigar smoking then I don’t know what does. Intrigued yet? Smoking cigars is a men’s past-time that can be cultivated like any other classy men’s hobby. If you are new to the idea of smoking cigars then have a look at the informative Top 3 YouTube videos on ‘How To Smoke A Cigar’. With our thumb opposing the rest of our fingers us homo sapiens are perfectly equipped for tasks that include grabbing, throwing, pushing or pulling. This being said, we get helpless rather quickly once the focus shifts from squeezing or pushing things together to setting things apart. In short, it is the feature of cutting that is the hardest for us to perform without the help of means from the outside. If you take into consideration the uncountable events in which we need to cut things , then carrying a knife will only come natural. To put it pointedly: what other is carrying a knife than carrying an elonged and enhanced version of your hand? Yes, a lifesaver, albeit not in the literal meaning of the term. Once you start carrying a knife all those situations where you were desparately looking for a pair of scissors, a piece of wire or a box cutter will be gone for good. You will now be able to cut open that package you just received, reach that button which can only be reached with some makeshift wire made out of a bent up paperclip, and you can even get that sheet of paper out of the copy machine where it had been stuck for days. 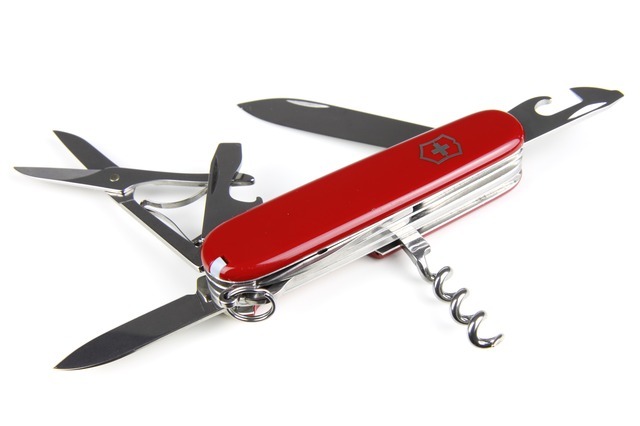 Make The Swiss Army Knife the gadget of your choice and scissors, bottle opener and corkscrew will be by your side from now on. No wonder that Victorinox’ best selling item is a must on any man’s travel packing list. The aforementioned MacGyver might be left standing by the A-Team in terms of manliness – but having MacGyver save the day only with his wits and his little Swiss friend makes the A-Team look pale in comparison. One thing to keep in mind is that your new sidekick will not act an actual lifesaver. 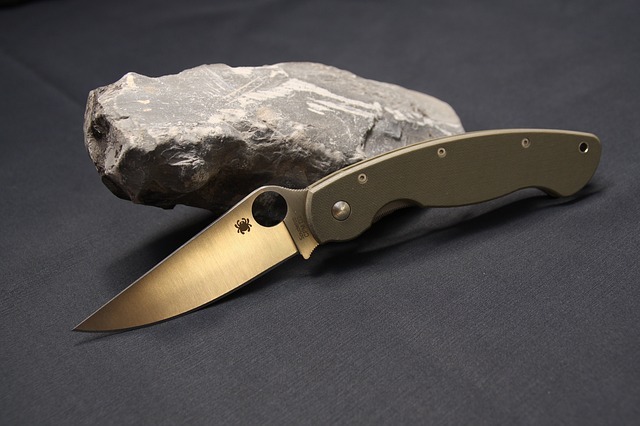 While a shorter blade might be more effective as it allows for quicker and more unseen reactions, the traditional pocket knife is no switchblade, meaning you will always need both hands in order to get out the blade. A fact that disqualifies it as a means for self-defense. And if it actually was a switchblade, then chances are it is illegal as these types are outlawed in almost all Western countries. Note that cities like New York will be cracking down on you hard should you carry something that even midly resembles a knife operable with one hand alone. Apart from that, the savvy traveler is well aware of other, much more effective ways to keep himself safe while he is traveling. In case you ever wondered how to make the right use of a pocket knife apart from cutting the odd cable or slicing your apple then here is how you work with it. Learn how to tighten screws, get notches into your belt and how to open cans. Manly stuff at its best. … if you combine the three just manly things of fire, hunting and building with the symbolic resemblence of an early death? That is correct, you get about as close to the definition of manliness as you possibly could. 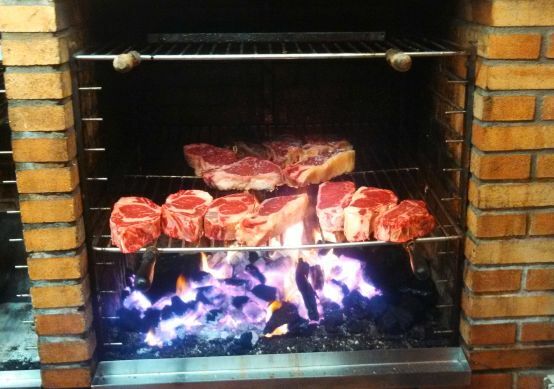 Getting some fresh meat on the grill, and red meat (beef, veal) in particular as it contains more high-quality proteine, creatine and Vitamine-D than any other kind of meat thus helping to increase your testosterone, is not only the one occasion where it is acceptable for men to wear an apron. The manly activity of building up a decent fire and grilling hunted goods is so attractive to men that even if said booty had been hunted at the local supermarket barbecues and grilling sessions, prefarably out in nature, are an a-list manly thing to do. To this day masculine men all over the world engage in this joyful activity which allows them to connect with a more primal past. 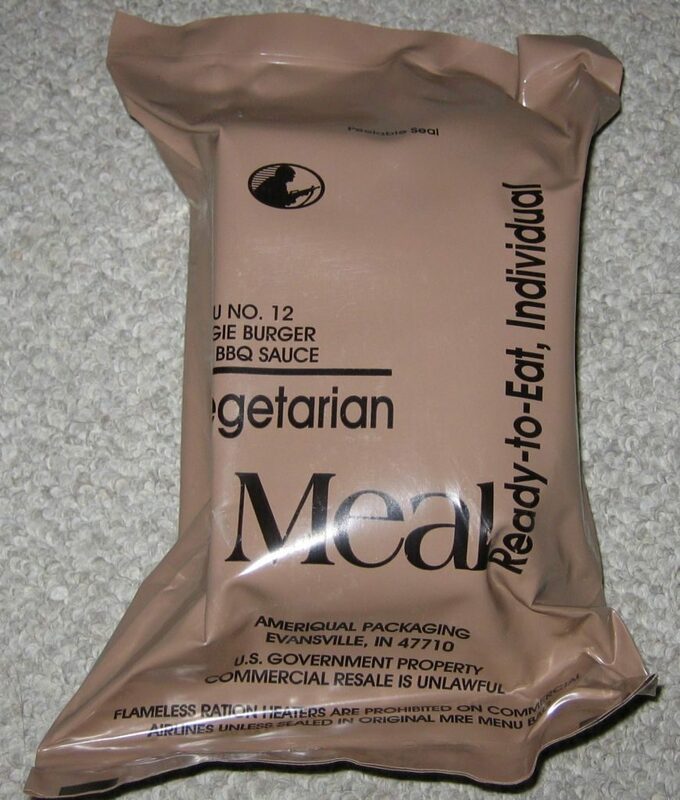 The Veggie Burger — a vegetarian Meal Ready to Eat (MRE) issued by the US military. 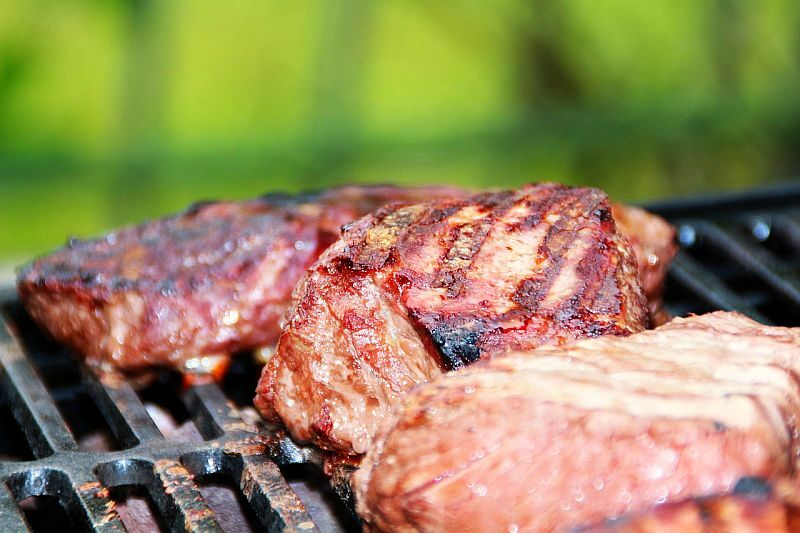 As manly as it is, grilling and eating unprocessed, self-prepared meat seems almost an anachronism in our current times. 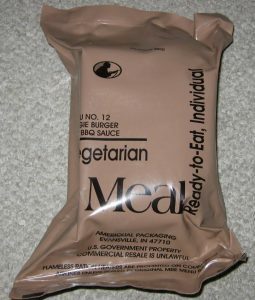 These days leading a ‘vegetarian’ or even ‘vegan’ lifestyle will not raise eyebrows whatsoever and has become mainstream in the sense that even the US military offers vegetarian combat rations to its soldiers. 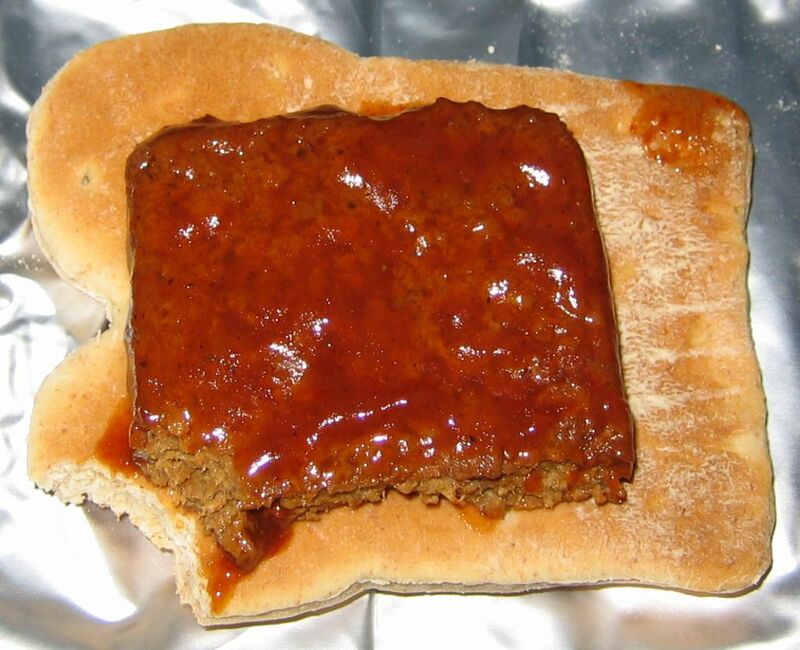 … ‘The Veggie Burger’ with BBQ sauce on Wheat Snack Bread. Is The Vegetarian Lifestyle On The Rise? If you believe the vegetarian hype stating that already 10% of all Germans as well as 10% of all Swedes will never have tasty Schweinebraten or Kotbullar ever again, but go for measly soy products instead then the only possible outcome of this supposedly ongoingtrend would be the collapse of meat consumption in Europe. However, if you take a look at the official numbers an entirely different picture is taking shape. The World Health Organization (WHO) published a study stating that since 1964 the consumption of meat is has been on a global rise. Now, this could easily be attributed to an overall increase in the standard of living for either developing countries or those countries that had been living the Socialist dream of a surveillance state perfect equality before the fall of the Berlin Wall. I therefore suggest we take a look at the most official and reliable data one can get his hands on over the internet, namely the numbers on meat consumption as gathered by the OECD. The above charta shows the global meat consumption (average) for the years of 1995 to 2005. I have highlighted the 28 member states of the European Union in blue, Canada in red and the United States in purple. Now, what do these figures tell us? Take the consumption of pork, for instance. The 10-year span from 1995 until 2005 saw the average European consuming 32,6 kg in tasty pork meat. Fast forward ~10 years to the time span of 2006 to 2014 (right) and you can see that the consumption of pork has fallen from 32,6 kg to 30.9 kg. If you consider the abundance of small talk you and me have made in these ten years with new-age tree-huggers people we were introduced to, and who all claimed to be vigorous vegetarians then a drop of just 1,7 kg seems pretty laughable. Things get even more bogus when you look at the consumption of poultry meat for the same time spans. Here, you can see an increase. 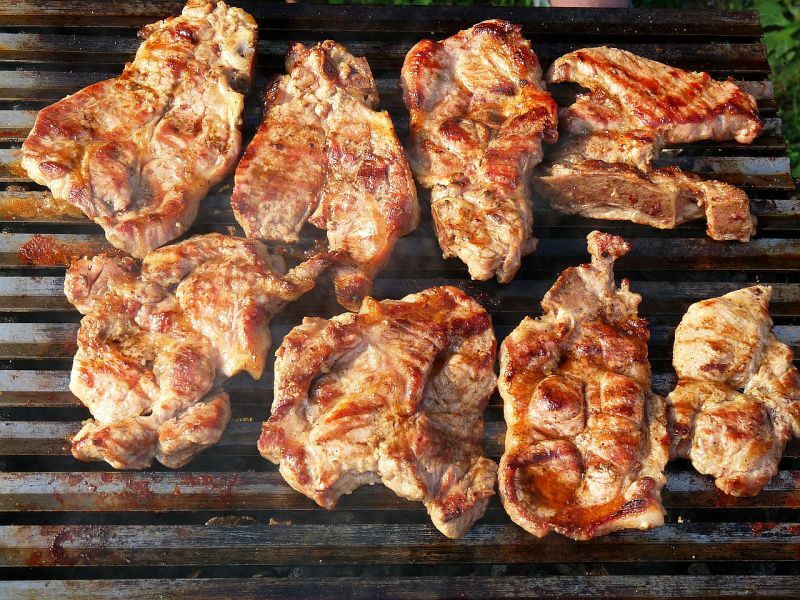 Namely, pork consumption rose from 19.5 kg (1995-2005) to 21.6 kg (2006-2014). Do you smell a rat? If anything then it all looks as if people simply shifted from mouth and food disease-ridden pork to chicken wings instead. Or things may simply smell fishy here (get it?). How is all that possible? Since the chart does not distinguish between single countries does that mean that, say, all Germans became raving vegetarians while the Portuguese, the Dutch and the Islanders started munching on good ‘ole pork and poultry like there was no tomorrow? No, it doesn’t. The real answer is simple. The hype about the vegetarian lifestyle happens to be just that: a hype. total number of sexual partners: people will simply stretch the truth like strawberry-flavored chewing gum. Men always adjust their numbers upwards while women always play it down. The same goes for the unmanly habit of shunning the heavenly gift that is meat. Hate to break it to you, but trieying that soy bean cheese substitute which tasted like year-old window glaze doesn’t make you a vegetarian. And hearing about that friend of yours who lost 15 pounds by simply sticking to ‘tofu’ instead of real meat doesn’t do so, either. Truth is, meat still rules this school. 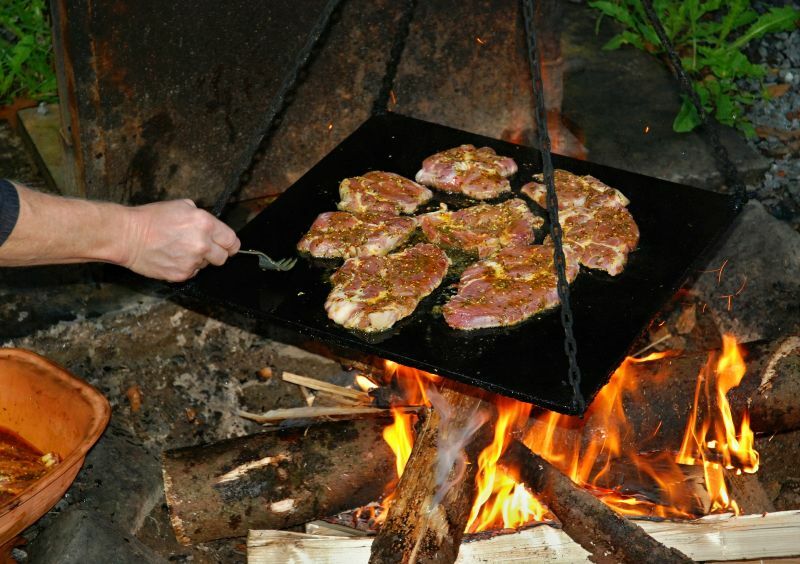 And the only proper way to prepare this tasty treat is by cooking it over those crackling flames you alone ignited. Men drenching coals in meths and then having blood-red slices of steak sizzling above the heat is simply manly guys doing manly things. And nothing else. All that is left for you now is to educate yourself for the upcoming summer season. I rest my case. What manly things are missing in the list?